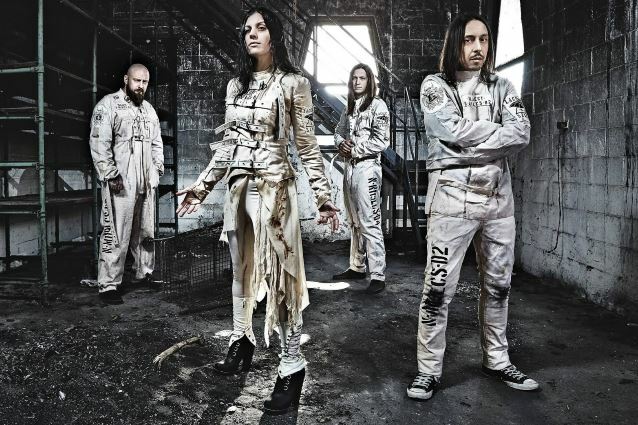 MetalRockNews: Cristina Scabbia: "Lacuna Coil weren't taken seriously in Italy"
Cristina Scabbia: "Lacuna Coil weren't taken seriously in Italy"
Lacuna Coil's Cristina Scabbia was recently interviewed by Metalsucks.net, you can read some excerpts below. Scabbia said she wasn't taken seriously as a musician when she began singing in Lacuna Coil: "At the beginning it wasn't easy, because when you say you're a musician, people immediately say, 'Ok but what's your job?' 'I'm a musician,' 'Yeah, but what's your real job?' 'No, really, I'm touring the world, this is how I pay my bills.' People still don't look at musicians as people who really work. At the beginning my parents were worried for me, like, 'Where do you think you're going? ', especially coming from Italy. There aren't a lot of rock or metal bands from Italy." She added: "I almost never talk about my work with friends and family. I never go into details. It might be exciting for me, but it might be super boring for whoever is listening, who don't really know about it. So unless they ask, I don't talk about it."